A luxurious meal that is intense in flavour and filled with nourishing properties! With this cooking appliance, you can effortlessly make traditional double-boiled soup or dishes for the family. 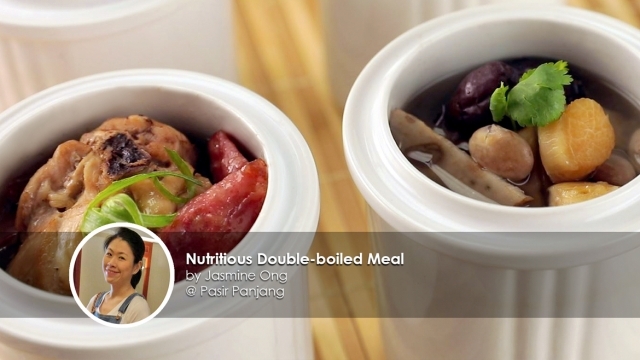 This Nutritious Double-boiled Meal recipe is shared by avid home cook Jasmine Ong. Nourishing and rich in flavour! 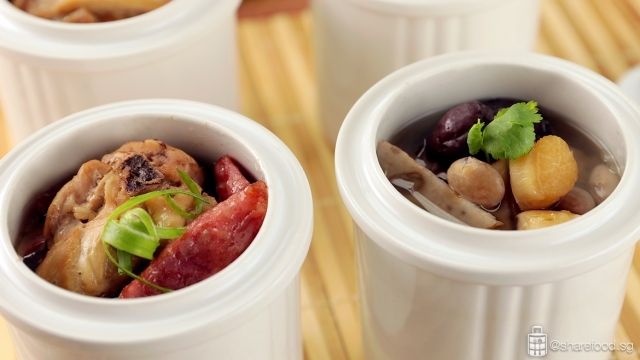 Steamed chicken with Chinese sausage and Lotus root with pearl bean soup. Double boiling is a popular traditional Chinese pot-in-pot cooking method. This method slowly boils the dish and is a more gentle process. First, a ceramic pot is submerged within an outer pot of boiling water, similar to the concept to the French cooking method of bain marie. 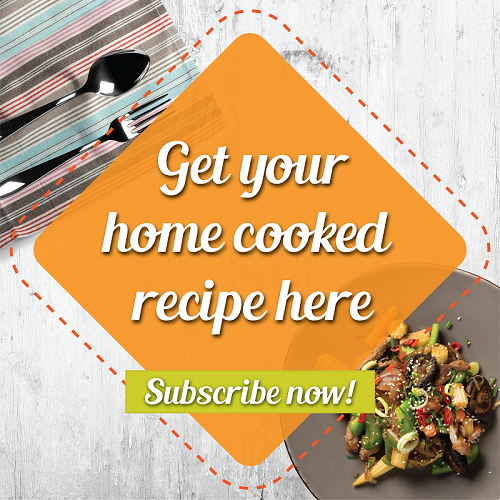 This is a great handy tool for cooking healthy and nutritious meals for your family! This cooking technique is said to achieve a high concentration of flavour with little compromise of the nutrients from the ingredients used. Hence it is a popular method for preparing nourishing tonics. 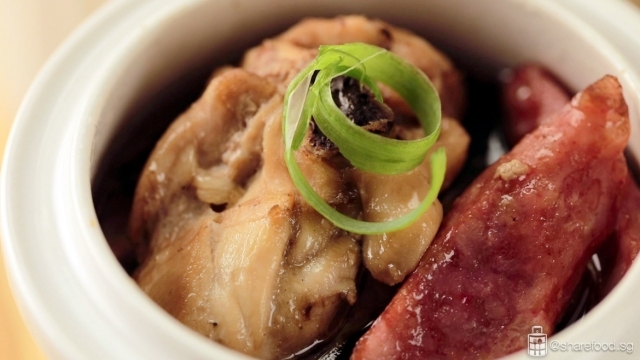 For this meal, we've made two incredibly delicious and nutritious dishes: Clear Lotus root with pearl bean soup and fragrant Steamed chicken with Chinese sausage. 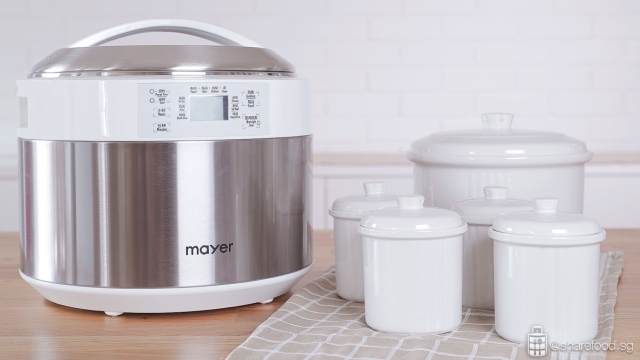 The process now is made much easier with the Mayer Electric Double Boiler with Ceramic Pots. 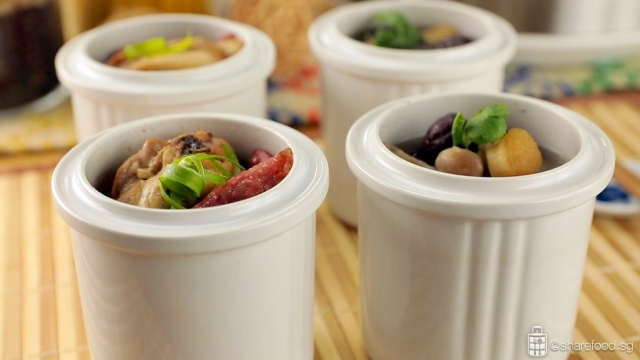 Simply prepare the ingredients and place them in the ceramic pots. Next, fill the double-boiler pot with water till it reaches the indicator within. Place the filled ceramic pots in. Now pour water around the well at the lid. 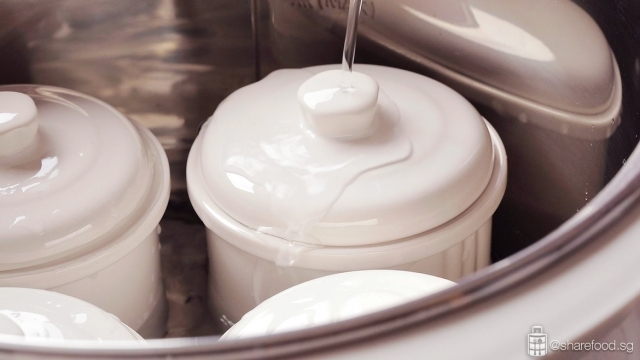 The inner, recessed lid guards against evaporation while the other domed lid keeps excess water out. By pouring water over lid secures and seals it to prevent water from escaping and entering the soup. The inner, recessed lid guards against evaporation while the other domed lid keeps excess water out. The good thing about using the double boiler is that is comprised of multiple safety protection and you can safely leave it to cook with minimum supervision. Therefore you won't need to constantly replenish water in the pot. With old traditional cooking pots, you'll need to replenish water regularly to ensure there is no liquid evaporation to prevent loss of nutrients or flavour. Enjoy a healthy and nourishing meal with the family! Nourishing and rich in flavour! We highly recommend families to cook with this method as it retains the essence, taste and nutritional value of the ingredients. For bigger families, you can choose to boil the soup in the larger 3.5L ceramic pot too as it fits a whole chicken perfectly. Dish 1 (Lotus root with pearl bean soup): Fill a saucepan with water and simmer it. Add in pork and let it boil to remove scums. Remove pork from water, rinse with water. Dish 2 (Steamed chicken with Chinese sausage): Marinate chicken with all seasoning for at least 1 hour. Clingwrap and place it in the chiller. Remove the skin of the Chinese sausage, slice thinly. Set aside. 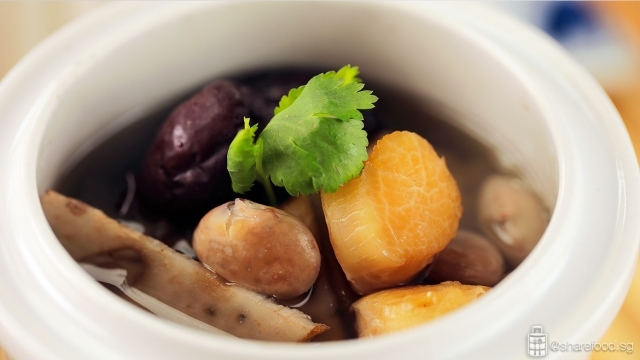 Dish 1 (Lotus root with pearl bean soup): :In each ceramic pot, add in ½ portion of the pork, ½ portion of the lotus roots slices, ½ portion of pearl beans, 2 scallops and 2 dates. Top up with water till it’s 90% full. 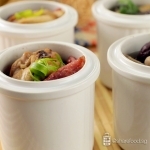 Dish 2 (Steamed chicken with Chinese sausage): In each ceramic pot, add in ½ portion of chicken and ½ portion of Chinese sausage. Top it up with water till it’s ½ filled. Fill the double-boiler pot with water till it reaches the indicator within. Place the filled ceramic pots in. Select “Steam” function and it will take 50 mins to cook the dish, then serve hot.